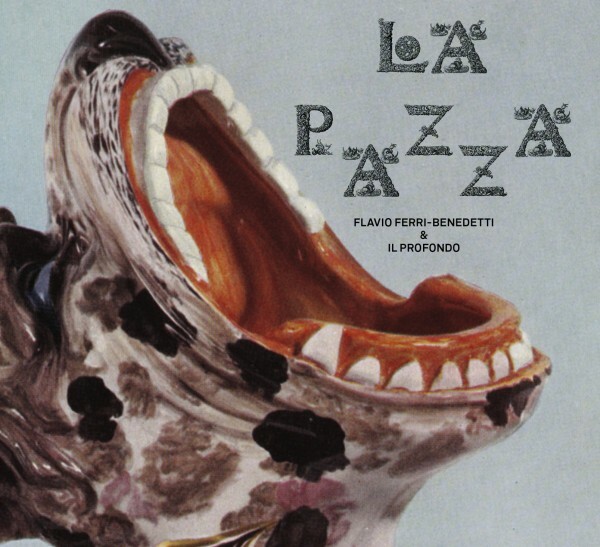 "La Pazza" (Italian for mad, insane) is the title of the new album of the Basso Continuo ensemble Il Profondo and Flavio Ferri-Benedetti (Countertenor). The name is the programme: the Italian seventeenth-century pieces, composed by Monteverdi, Ferrari, Strozzi, Francesca Caccini, D'India, Trabaci and Del Buono, circle around the theme of madness and insanity: amour fou, death-wish, religious ecstacy, utter ridiculousness and pathological insanity. The piece that stands at the heart of the album, “La Pazzia” (anonymous), is a world premiere, discovered and transcribed by the performers themselves. Not only the musical text that is mad, but also the instrumentation is exotic. Il Profondo deploys nine Continuo players who play on twelve instruments, such as colascione, baroque mandolin and cimbalo cromatico (enharmonic harpsichord with split keys). Each piece has different instrumentation, rending each piece its own character: from the intimate moment, in which the singer only needs a lute, to the big polychoral effect with viola da gamba consort, lute consort and harpsichord. Flavio Ferri-Benedetti and Il Profondo has collaborated in 2012 for the CD "Passo di pena in pena", released by a Spanish record company Cantus. It has received extremely good reviews, as well as five Diapasons. 03. Giovanni Maria Trabaci (1575–1647): "Consonanze Stravaganti"
11. Gioanpietro del Buono (1601–1656): "LXXVII, Obligo di dui Zoppi, e dui Ciechi"
Related links to "La Pazza"
Customer evaluation for "La Pazza"
I like the powerful spirit of the artists, the contrasts between intimate moments and sparks spraying energy! Congratulations! Subscribe to the free exando-music newsletter and ensure that you will no longer miss any of our offers or news.